One owner home that is in excellent condition. Huge trees on dead end street. 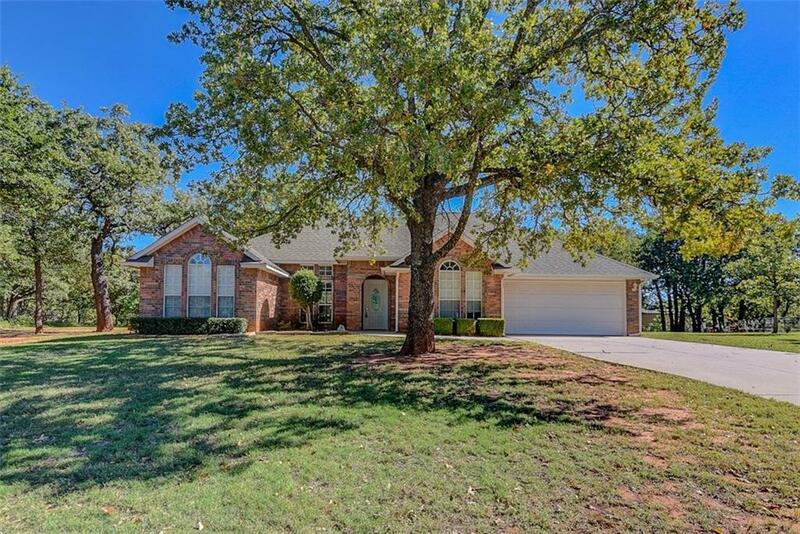 This home has a large formal dining, a really nice living room with fireplace and ceiling fans. The master suite is large with ceiling fan, walkin closet whirlpool tub, shower and lots of storage. The kitchen is great with walkin pantry, built in appliances, avalon counter tops. The utility room is large with storage. Auxiliary bedrooms are large with nice closets and large windows. The one acre yard has lots of trees that invite lots of turkeys to visit.